KABUL, Afghanistan (AP) — Afghanistan's intelligence agency said Sunday its operatives have confirmed that the son of the founder of the powerful Haqqani militant network was killed in an airstrike in Pakistan, even as the Taliban vowed that he was alive and well. Shafiquallh Tahriri, the spokesman for Afghanistan's National Directorate of Security, said Badruddin Haqqani was killed last week. He did not provide any further details, and would not say what information the agency's operatives were basing their conclusion on. Tahiri's account is similar to one provided Saturday by a senior Taliban leader who said Haqqani was killed in a drone strike. It also hews closely to a version provided by Pakistani officials who said they were 90 percent sure the militant commander was killed Tuesday in a missile attack in Pakistan's North Waziristan tribal region. Haqqani's death would mark a major blow to the organization founded by his father, Jalaluddin Haqqani, which is viewed by the U.S. as a powerful enemy in Afghanistan. The son is considered the network's day-to-day operations commander. 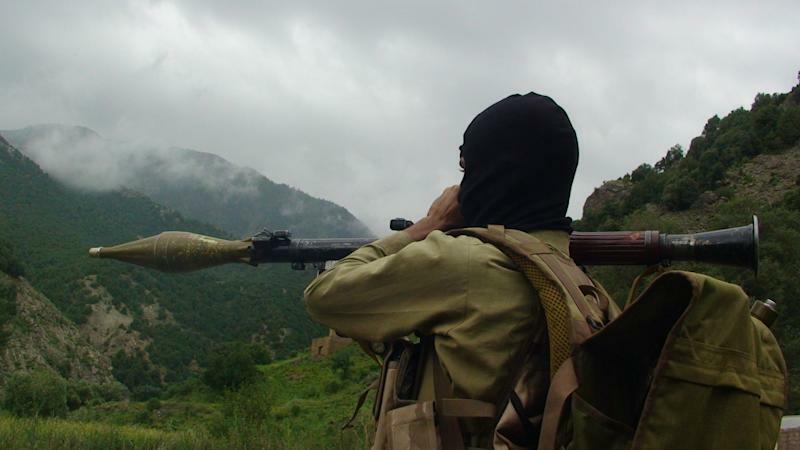 The Haqqani network has been blamed for a series of high-profile attacks and kidnappings in Afghanistan, and the U.S. considers it one of the most powerful militant groups operating in the country. The Taliban, who are closely allied with the Haqqani network, have rejected all reports of Haqqani's death. The areas where the American drone strikes generally occur are extremely remote and dangerous, making it difficult for reporters or others to verify a particular person's death. Badruddin is considered a vital part of the Haqqani structure and is believed to have played an active role in kidnappings, extortion and high-profile operations in Afghanistan. Tahiri said that Haqqani's responsibilities included arranging foreign suicide bombings, maintaining relations with other insurgent groups, recruiting Pakistani Taliban fighters to the Haqqani group and overseeing operations in southeastern Afghanistan and in Kabul. "They are going to find another person to replace him. What I know is that his elder brother, Sirajuddin Haqqani, is playing a larger role in the the Haqqani network," Saleh said in an interview on Afghanistan's Tolo television. He said until the group's ability to operate across Afghanistan and Pakistan is limited, "killing their commanders or leaders will have its effect, but not that large of an effect." The U.S. has long viewed the Haqqani network as one of the biggest threats to U.S. and NATO forces in Afghanistan as well as the country's long term stability. The group has shown little interest in negotiating with the Washington, and has pulled off some of the highest-profile and most complex attacks in Afghanistan, although not necessarily the most deadly. Associated Press writers Rebecca Santana in Islamabad and Anwarullah Khan in Khar, Pakistan, contributed to this report.